Environmental activist Alex Gonzalez-Davidson, who was deported in February last year, has been granted a one-month tourist visa through the Foreign Ministry’s online “e-visa” service, but an immigration official said yesterday that it was unlikely he would be allowed to use it. An email from the e-visa service sent to Mr. Gonzalez-Davidson on Wednesday said his application was successful, while a copy of the e-visa provided by the activist states that he is free to use it before July 6—subject to the usual conditions of entry to Cambodia. “We are pleased to inform you that your e-visa application to the Kingdom of Cambodia has been approved. Please kindly check on the reminder below before departing on your journey,” the email said. Despite this, however, the head of investigations at the Interior Ministry’s immigration department, Uk Heisela, said he did not believe Mr. Gonzalez-Davidson would be allowed to return. “As far as I know, he will not be allowed to enter, because he was put on the blacklist,” said Major General Heisela, who personally arrested Mr. Gonzalez-Davidson prior to his deportation last year. 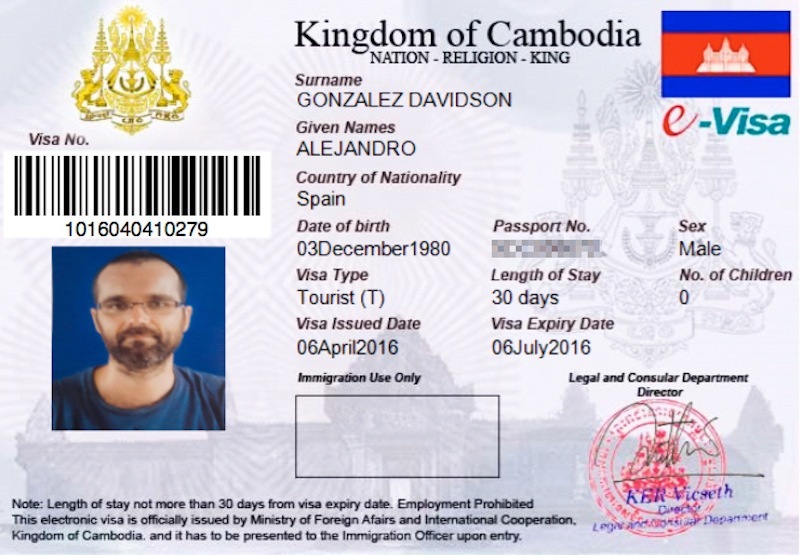 Indeed, the conditions that every applicant must agree to when applying for the e-visa suggest that Mr. Gonzalez-Davidson—whose Spanish passport is stamped “Not allowed to enter Cambodia”—would not be permitted into the country. 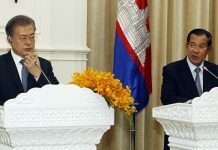 “I understand that possession of an e-visa does not automatically entitle the bearer to enter the Kingdom of Cambodia upon arrival at a port of entry if he or she is found inadmissible,” the application form reads. Mr. Gonzalez-Davidson, a fluent Khmer speaker, had led a campaign against the planned Stung Cheay Areng hydropower dam in Koh Kong province and was deported after being accused of setting up an illegal roadblock to prevent a government convoy from reaching the project site in September last year. 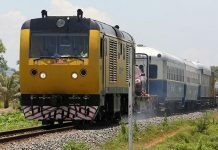 The activist wants to return to stand trial on conspiracy charges laid by the Koh Kong Provincial Court after he was deported. The charges stem from his involvement in a separate campaign against a pair of sand dredging companies. 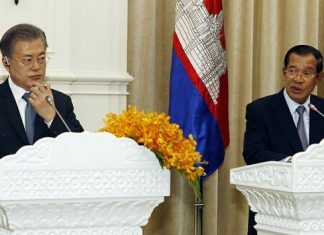 On Thursday, he said he would write to Interior Minister Sar Kheng to ask whether the e-visa would be accepted before booking flights to Cambodia. “Though I was very happy to see the application for the e-visa being approved, I think this is most likely due to some low-level clerk not even bothering to [ascertain] my identity,” Mr. Gonzalez-Davidson said in a message.